Creative audit: when a monkey peels a banana, is he cooking? 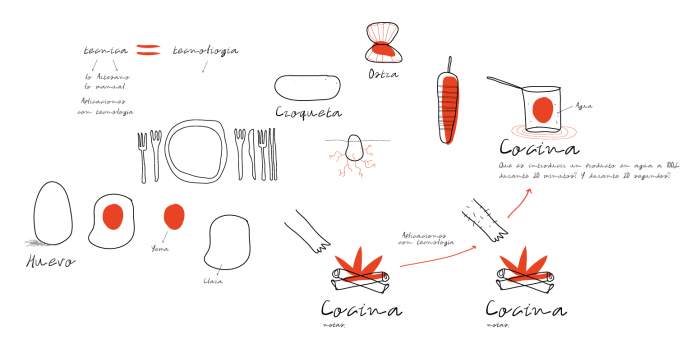 For the ‘Ferran Adrià exhibition project titled ‘Auditing the creative process’, we thought we should give the exhibition’s new website the challenges Adrià set for his team at elBulli while they worked, as well as the public at his conferences. This has been our particular creative process. 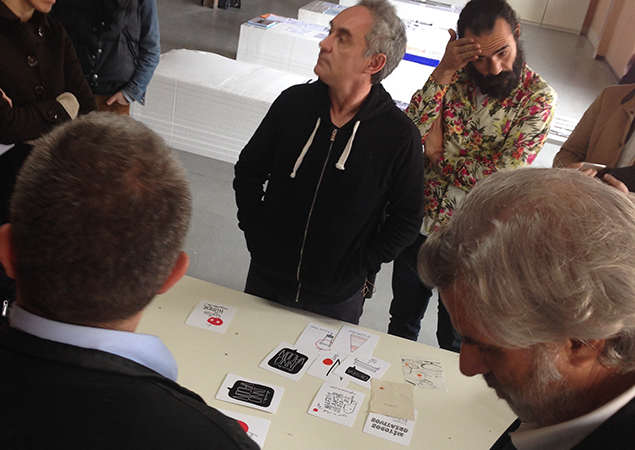 At the end of Spring 2014 our digital workshop (Prodigioso Volcán) was making the website for Ferran Adrià’s exhibition on creativity, due to open in October, and an idea came to us. When Ferran works with his teams he always asks them questions to make them think and reflect, he also often does it in his public exhibitions to challenge the audience, who when faced with a question from the chef are unsure of the right answer. 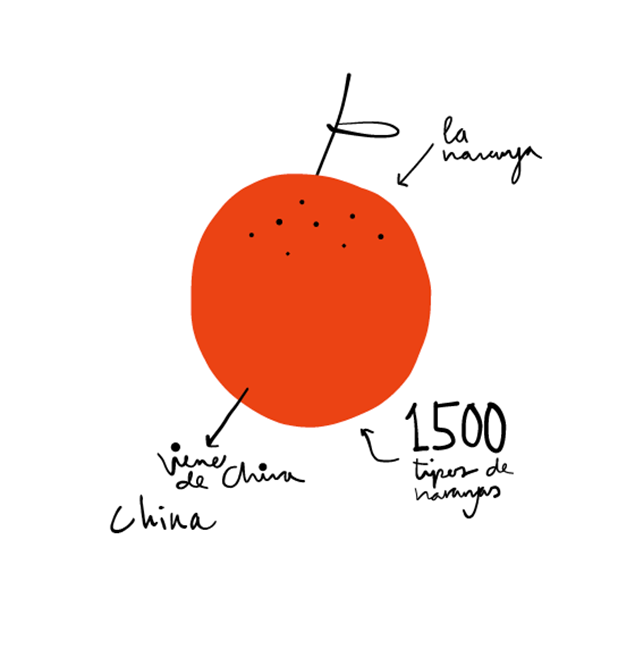 We thought we should bring these challenges to the website so we proposed to Adrià and Fundación Telefónica the idea of interpreting some of his questions in the form of drawings so that people could interact with them and share them with their friends on social networks. 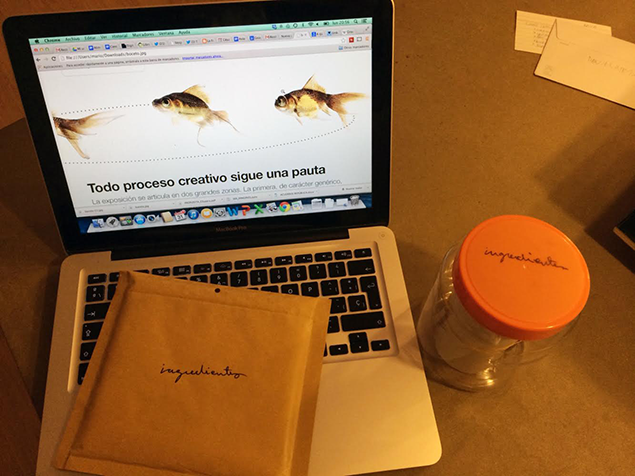 Ferran loved the idea and sent us 80 phrases over four weeks, at a rate of 20 per week. Having a limitation (which is an important creative method) made us highly efficient in terms of speed and our style became simplified, focusing on the essential part of each illustration. A joint project between the elBulli and Prodigioso Volcán teams, led graphically by Quique Herreros, led to digital menus that have been some of the most popular and most read features on the website since the exhibition was announced. 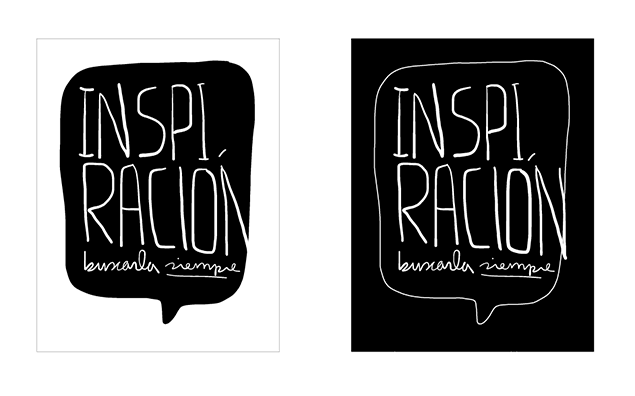 The drawings are digital and the typography is manual, done with a Wacom tablet. For their visualisation on the web, we envisaged a system of cards where the front (if that exists in the digital world) carries the question with the corresponding drawing and the back has buttons for sharing on social networks. At the bottom, there is a comments section so people can respond to the challenges. The system works very well on mobiles and 60% of responses have come from this type of device.